Kelly Kim, Sept. 26, 2017, 9:26 a.m.
Lee Seung-woo of Hellas Verona made his debut in Italy's Serie A on Sunday. 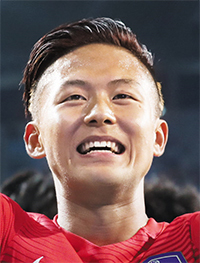 Lee, who transferred from FC Barcelona B in Spain, is the second Korean footballer to play in Italy's top league after Ahn Jung-hwan, who played for Perugia FC in 2000. Lee came on as a substitute in the 71st minute while the team was trailing 3-0 against Lazio. While he did not score, Lee impressed local media with his aggression. Whoscored.com gave Lee 6.4 points out of 10, the second-highest rating on the team. Verona lost 3-0, leaving it in 19th place in the 20-team league with four losses and two draws.